This portrait made a beautiful memory!....v. 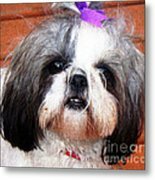 Thank you for featuring this artwork in the group Self-Taught Artists! She is so cute! Her and her little purple bow! 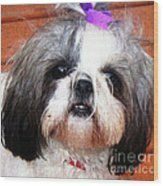 That's my grand-puppy! She is cute, thanks! 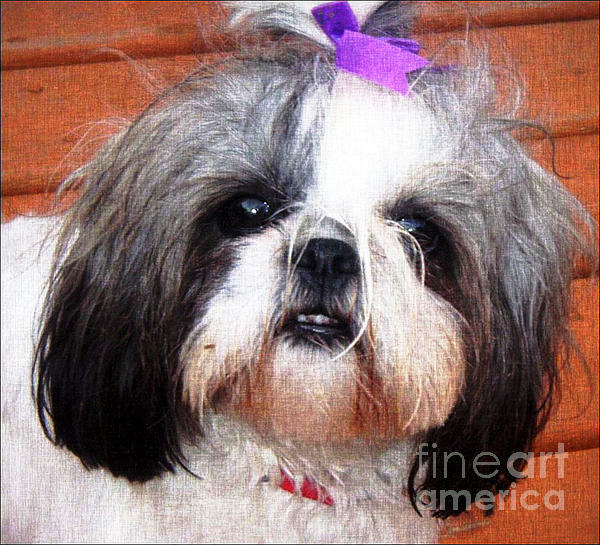 Mitzie - Shih Tzu by Barbara Griffin. 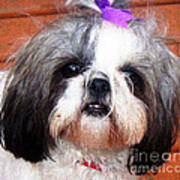 A grey and white Shih Tzu puppy dog tries to look fierce looking with her bottom teeth showing.... it's not working! Light canvas texture applied.